I love giving gifts!!! Christmas is the perfect time to be able to celebrate the people around you – by spoiling them with gifts. 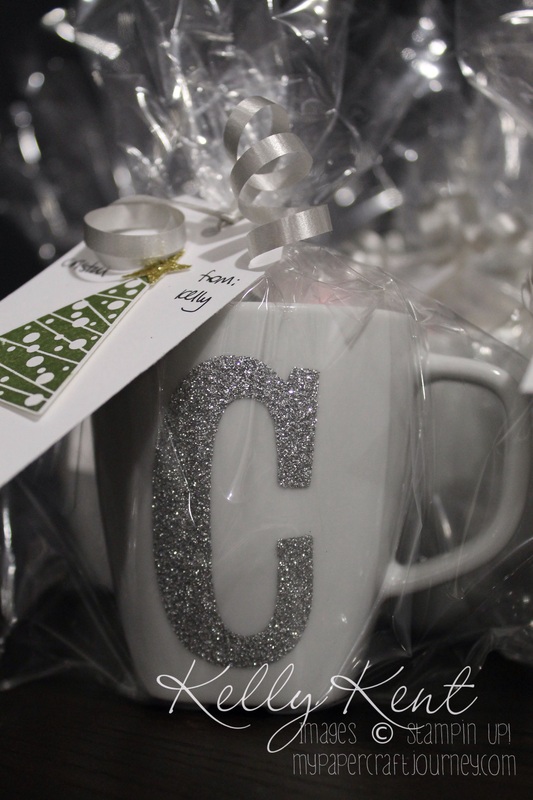 This year, my major craft project was monogrammed mugs. I, with the help of Mr Papercraft, made 33 of these delights to give to my colleagues and the staff at the girls’ daycare. 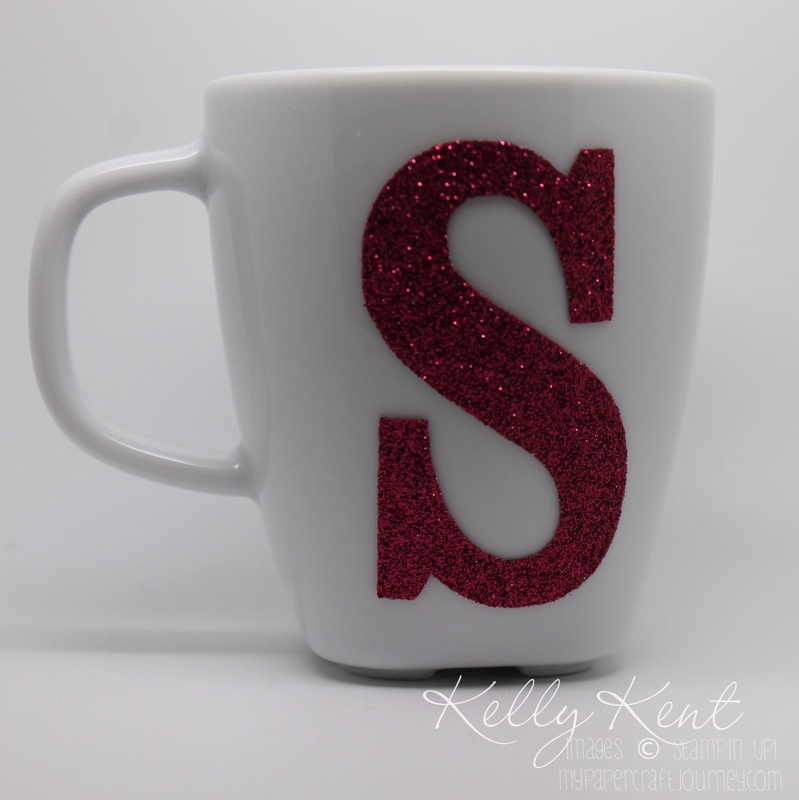 The letters are a My Digital Studio (MDS) download – Sweet Details Alphabet, made from iron-on glitter vinyl, which I cut using my Cameo. Super cool idea – very awesome outcome. Voila! Personalised mugs. Of course, if you don’t have an e-cutter, you could still do this project using vinyl cut by hand. 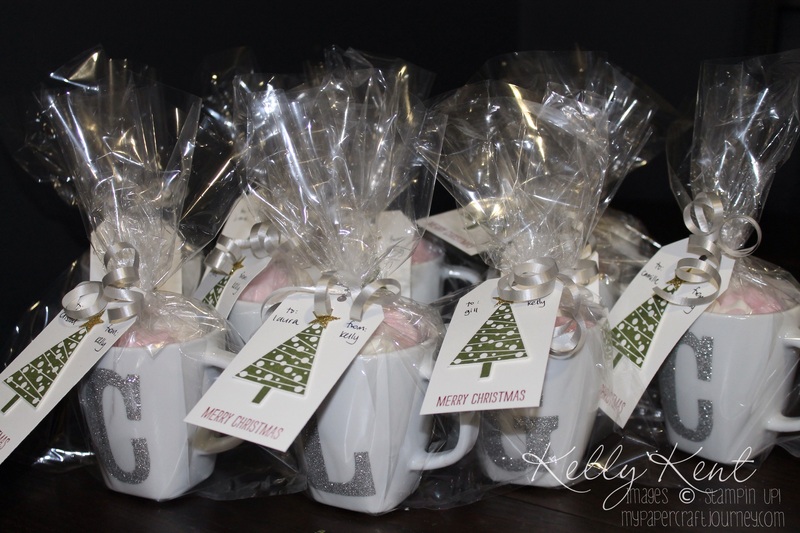 I put a sachet of hot chocolate powder & a couple of marshmallows into the mug then wrapped them all up (the Gusseted Cellophane Bags work well for this type of packaging). Super Cute. Never thought of using the Iron On glitter Vinyl. Probably a dumb question– but washing / microwave instructions? I am guessing hand-wash and no microwave?